I am finally getting in a little bit of a mood for fall. It is my favorite time of year after all, but my crazy summer schedule made me feel kind of like I missed summer, so I have been trying to hold on to it. 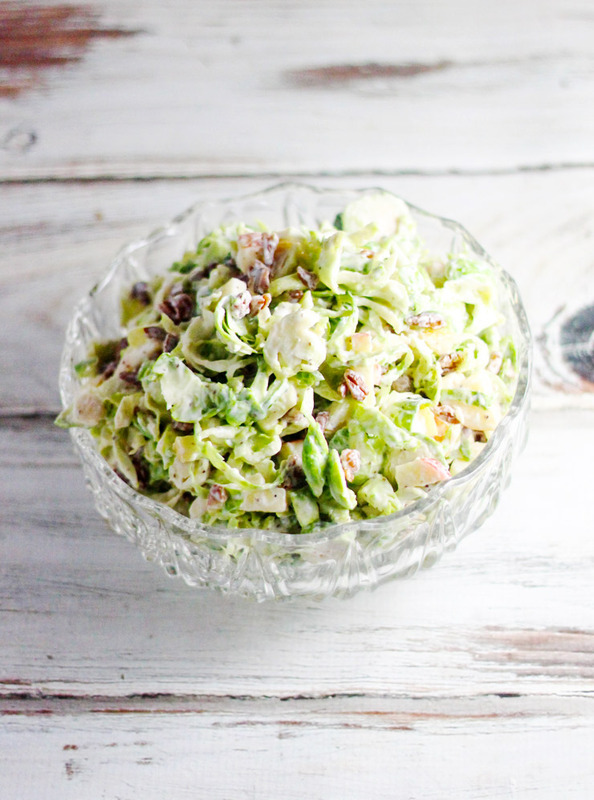 I love Brussels Sprouts in fall and winter, but we are still pretty hot around here, so I turned these into a Brussels Sprouts Apple Cole Slaw. Lots of delicious fall flavor without the heat of cooking. Finely chop the apple and then toss it in the lemon juice to prevent browning. I did not peel my apple, but you can if you want. 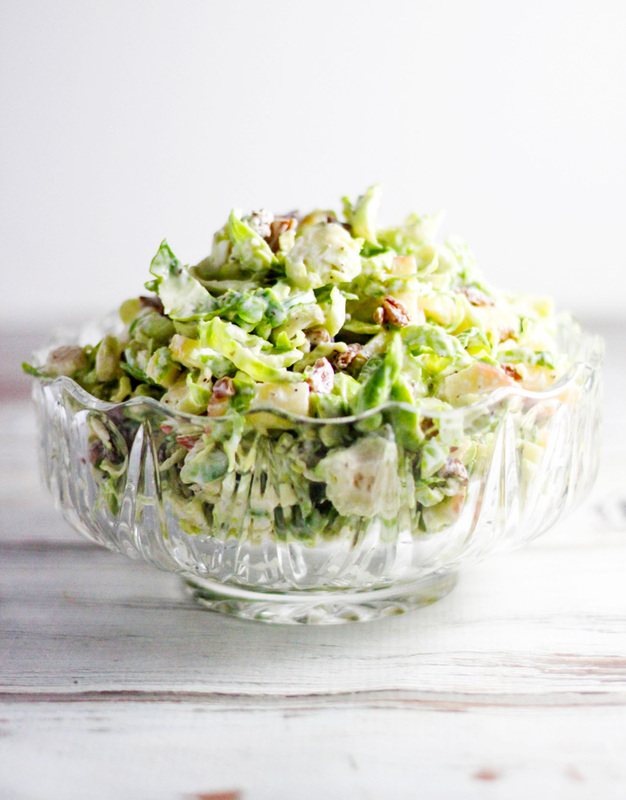 Toss together shredded Brussels Sprouts, apple, and pecans. Stir together sour cream, mayonnaise, celery salt, onion powder, sugar, and black pepper. Stir into Brussels Sprouts mixture. I love this salad! I’m actually growing Brussels sprouts in my garden, I can’t wait to turn them into a gorgeous salad.